In almost every metric, this latest coupe is a prime example of how to do it right. It’s a blast to drive, yet it doesn’t sacrifice luxury and comfort in the process. The 2018 Audi S5 is impressive with the latest batch of technology features. Compared to rival sport coupes such as the BMW 4 Series and Mercedes C-Class, the 2018 Audi S5 rises to the top. 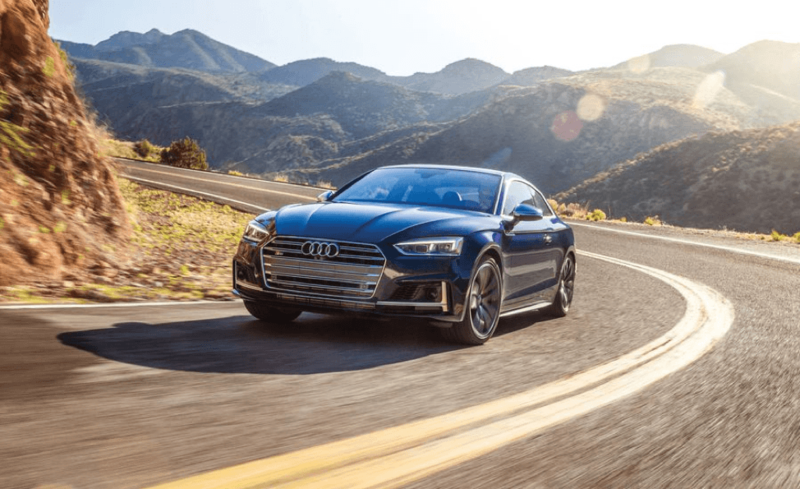 In this article by Pfaff Audi Vaughan, we will talk about the Audi S5 and the power that this premium quality vehicle has under the hood. Read on for more information. Begin your search for Audi vehicles here! Everything is focused on the driver, from the flat-bottomed, F1 inspired steering wheel to the race car-like driving position. The smooth, yet impressive performance is complimented by a beautifully crafted, yet performance-minded interior with some of the best sports seats ever sat in or looked at. First impressions mean a lot when it comes to cars and as soon as you open the door of the S5, you know you’re in for a treat. This is a beautifully balanced sports coupe with just enough horsepower and torque to make it seriously fast. The car has an optional S sport package, which includes the Sport adaptive damping suspension and the Sport rear differential. These are really necessary for exceptional performance. With that said, the overall price with these sports options, is still great for what you get. The adaptive suspension lowers the ride height and uses sensors to constantly monitor road conditions, adjusting the suspension accordingly. The Sport rear differential includes torque vectoring, which adjusts power to each rear wheel separately to push you around corners. The power is delivered to the road via an 8-speed tiptronic automatic transmission which uses a self-locking center differential, with a basic ratio of 40:60 front to rear, and wheel-selective torque control. It’s super fast, with a tiny bit of turbo lag, rock solid on straight roads and with very sensitive steering that’s eager for tight corners. Combined with the aggressive exhaust note, it’s an exhilarating experience. With no hint of turbo lag, the 3.0T TFSI (Turbocharged Fuel Stratified Injection) engine is quite perfect for the car. It offers up 354 horsepower and 369 lb-ft of torque, from a V6 that will give you 13 km/g on the highway. Power is slightly hesitant to come on, then comes on like a hurricane screaming all the way up to redline. The S5 is just rock solid right from the launch, with almost all of the power getting to the pavement via their proven quattro all-wheel-drive technology and an 8-speed automatic transmission. Everything’s better when you put the Audi drive select into “Dynamic” mode, the automaker’s name for Sport mode. For more information about the power behind the all new 2018 Audi A5 at Pfaff Audi Vaughan, please feel free to continue browsing through our website. Click here to find our contact information, fill out our contact form, and schedule a test drive today!